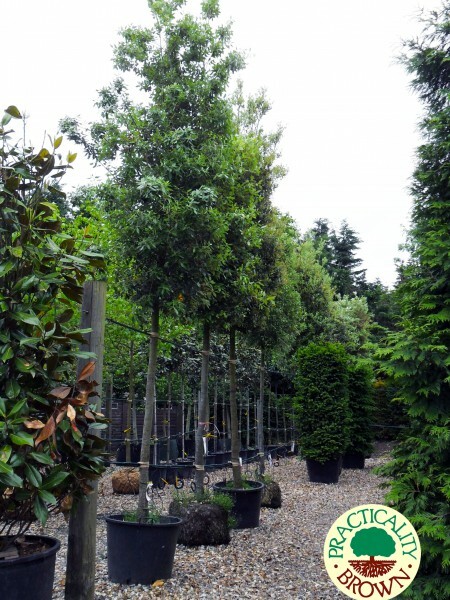 Quercus ilex is a magnificent large evergreen tree with a densely rounded habit and won the Award of Garden Merit in 2002. It takes its name from holm, an ancient name for holly. It has attractive black, finely cracked bark, with glossy, dark green leaves which are pale whitish-grey underneath; yellow catkins grow in spring/early summer and young acorns are green when emerging in spring, turning dark red-brown before falling. 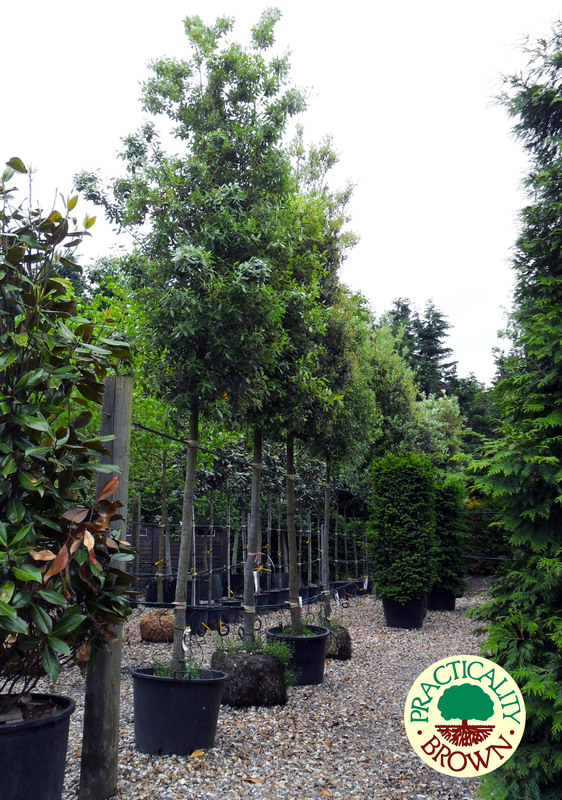 Holm Oak or Evergreen Oak is a hardy tree, thriving in all well-drained soils and is suitable for coastal, shade and air pollution. It is surprisingly versatile, being tolerant of regular pruning, topiary and as hedging. Left to develop naturally, it will eventually form a very large tree of over 20m.